Amjad Khan standing along with his mates in his early days in US. Year 1990, for tens of thousands of youth, was the year of making choices. Certain choices were voluntary and many were in response to what was happening around. In the Srinagar’s Barzalla locality, the situation triggered a mêlée within the mind of a young man who had just completed his engineering. He was caught by CRPF and released but the scare had reached his home. The family decided to send him away, a well maintained family tradition for decades now. Scion of a well established family, Amjad Khan, then 24, had completed his engineering in electronics and communication from Regional Engineering College (REC) Srinagar. He had not received his degree certificates. But his father, a retired chief Conservator of Forests, was on his head. He wanted him to move out of a fast changing Kashmir. The tall and smart Srinagar boy was aware that a he will live a comfortable in the west. But, he was not at peace with himself. He was fighting a disagreement within himself. A passionate cricketer, Khan thought cricket was over. “The worst thing for me when I left Kashmir was that I will not be able to play cricket any more,” Amjad, now 50, said. Khan was an established cricketer. He had represented J&K’s under-19 team. Besides, he was captain of the University of Kashmir team. Later, around 1988, he made it to Ranji Tropy as well. Scoring 42 runs at a batting average in the two matches he played against Delhi and Haryana, it was going to be his last match for his team. By then, situation in Kashmir had turned even worse. In 1989, J&K did not participate in the Ranji Trophy. FINALLY in 1990, Khan took off for United States of America. “For next six months I worked as data entry operator because my degree certificate was yet to reach me due to bad situation in valley,” Khan said. Almost a year after, he finally received his engineering degree from Srinagar, a pre-requisite for further studies. Amjad Khan with Pakistan star cricketer and former skipper Wasim Akram. Khan decided to opt for masters in computer sciences. But top class education in a new world did not encourage Khan to forget his old love, the cricket. “I started playing cricket for the local clubs and I maintained my passion more than that of home,” Khan said. The life in US was an eye-opener for him. “We have great family values back home unlike that place. But, I was shocked to see how everything was so well organized. Any work, you say it, would take place in systematic manner,” Khan, who had flown for a brief visit to Srinagar, said. It was the era of technology becoming into every sphere of life especially the computer. “Technologically offered lot of opportunities ,” he said. “After completion of my masters, I started working for US based small technology companies.” Working in various companies, he moved up the ladder and continued improving his profile. In 2006, he landed at Microsoft, the software giant. Khan was reluctant to apply. He admits he was genuinely afraid in working with one of the world’s most prestigious company. But destinies overtake personal choices. He applied, underwent a rigorous interview process and was eventually hired. His entry into MS coincided with his stardom in the sport, his passion. 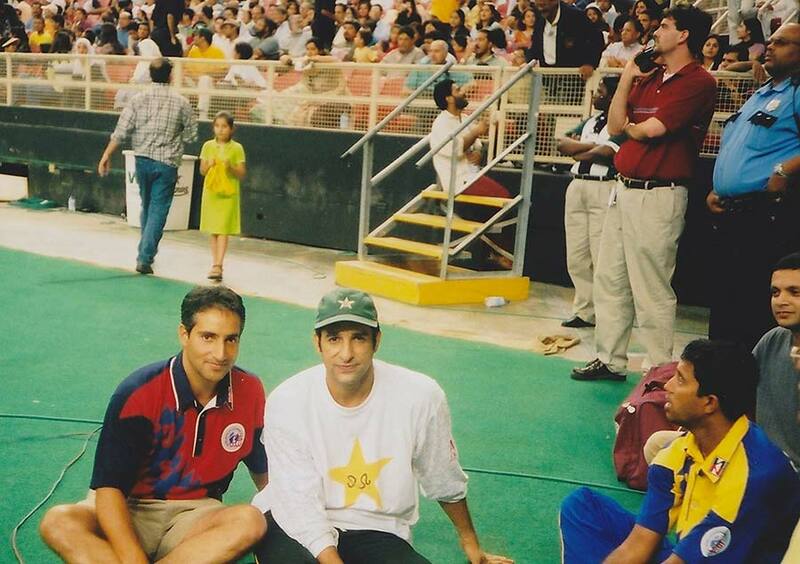 Khan was a top cricketer in US. INITIALLY, Khan started playing for the New York Eagles, a Caribbean-centred club in USA. Later given his excellent batting skills, he led the team for next three championships in the Commonwealth Cricket League, the largest league in America. In 1996, he moved to Northern California but his cricketing did not cease. He begun bagging records on his name and was one of the famous run scorer in American domestic Cricket for close to two decades. The game went on and his passion amplified with every stroke on the green turf of America. Khan has secured record high score for a batsman in North America. This milestone was achieved by him when he scored 304 runs in a quarter final match for United Cricket Club against Berkeley Cricket Club in the Northern California Cricket Association in 1999. Amjad has been listed as one of only three players to have scored a triple century in any form of limited over’s cricket. It was the time when a Khan was nicknamed ‘AK47’ in US. After showering another bullet stroke in a match in 2012’s final of the Eastern American Cricket Association, Amjad achieved another set record again by scoring the “Fastest century in US cricket history”. In just 56 balls, he made it to centaury with his flawless strokes with 9 fours and 7 sixes. “Due to cricket I was able to visit different countries of the world,” says a proud Amjad. 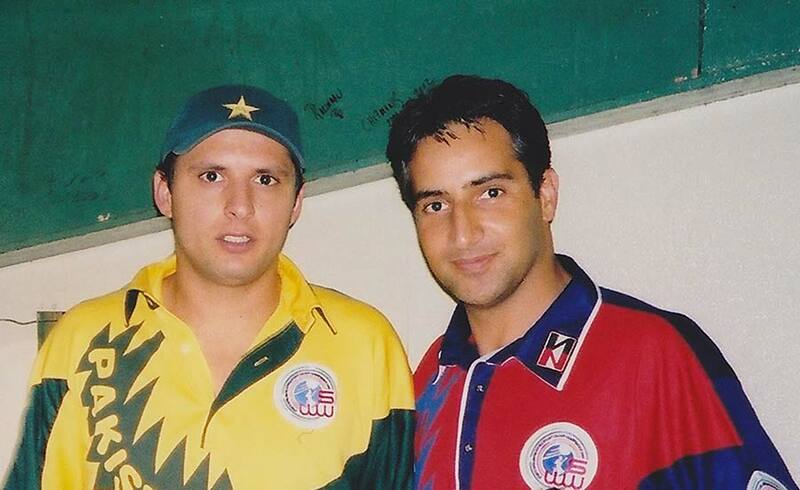 Amjad has also played against famous Pakistani crickets, Waseem Akram and Shahid Afridi in a double play tournament. In the archival videos of the match Amjad can be seen hitting Afridi and Akram hard with sixes and fours. Amjad Khan with Shahid Afridi. In 2000 he was selected to play for the United States listed A team. 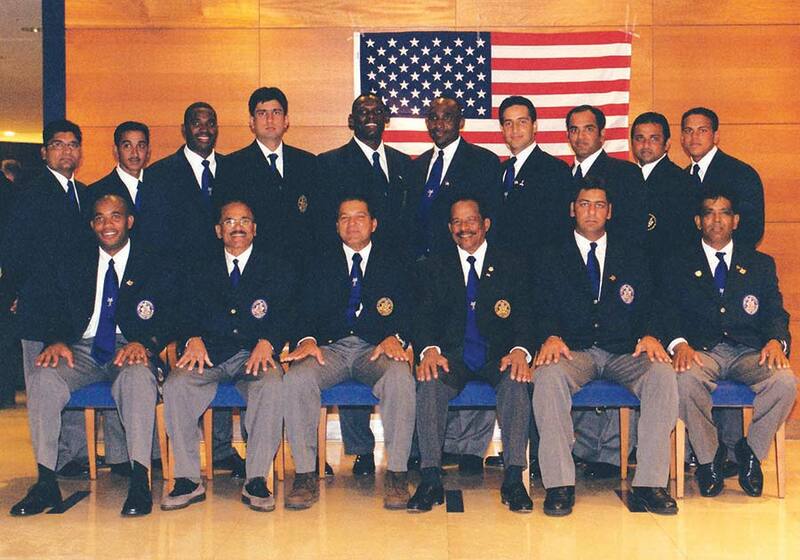 Khan was conferred as Man of the Match for performance in the 2002 ICC Americas Championship against Bermuda that was played in Buenos Aires, Argentina. Amjad Khan has completed working as an engineer for Microsoft for eleven years. From last nine months he is looking at company’s sales and technical department in Dubai office. My work is to look after 79 countries from Pakistan to South Africa,” Khan says. IN HIS recent visit to Kashmir, Khan turns nostalgic. “If somehow Kashmir would turn into the Kashmir of 1989, I will be back like this,” he says talking about his “diverse multiethnic religious upbringing.” He talks about his friends, Sikhs and Pandits and regrets that “many youngsters might have grown up with Kashmiri Pandits and Sikhs”. In Kashmir, Khan is also working with a non-profit, an NGO. He wants to help the youth were blinded by pellets in Kashmir. “I am working with a software designer Sakib Sheikh. He lost his eyesight when he was seven. He went to blind school in London and then joined Microsoft,” says Amjad. In Microsoft, Sheikh built an application for visually impaired. By the help of this application, if one is sitting in a room and a blind wears glasses, it tells him about the surroundings. It will actually visualize for the blind person,” Khan explains the working of the application. Amjad said he is exploring ways to get that in Kashmir for the people especially hundreds of youth who have lost vision by pellets. “I am working with Sakib in England to see how we can we find a way here,” he says explaining his plans to manage the budgets as the gadgets are expensive. Khan said the youth in Kashmir are pretty savvy and the issue is how to take it to the next level and make career from it. “If a blind person can build software that is going to revolutionize world for the blind, think the potential for normal human being,” Khan said. At the same time, Khan said there is responsibility for the people who have moved out of Kashmir and learned a trait. “They must link up with the society back home and help people,” Khan said. “The willing youth in Kashmir should be made part of the technology learning process and it will help.” The internet has started changing things, across the world. “When I had to apply in an American University, the communication was all based in postal mail. It would take months to correspond,” Khan said. “Now it is called snail mail as people communicate within seconds.” People across the world are using internet as it has led to a sort of kevel playing field for everybody. AMJAD KHAN is a successful man. His passion for cricket has given him a social ranking in US. He works for one of the software giants in the world. Bt he misses Kashmir. “Summer of 1989 was the last best one,” he says in nostalgic tone. Perhaps that was why that before packing his luggage, he played few quick cricket matches in Amar Singh College Srinagar premises with young blooded youth, surprising them by his “old man” skills. Previous Article35A vs Ethnic Flooding?